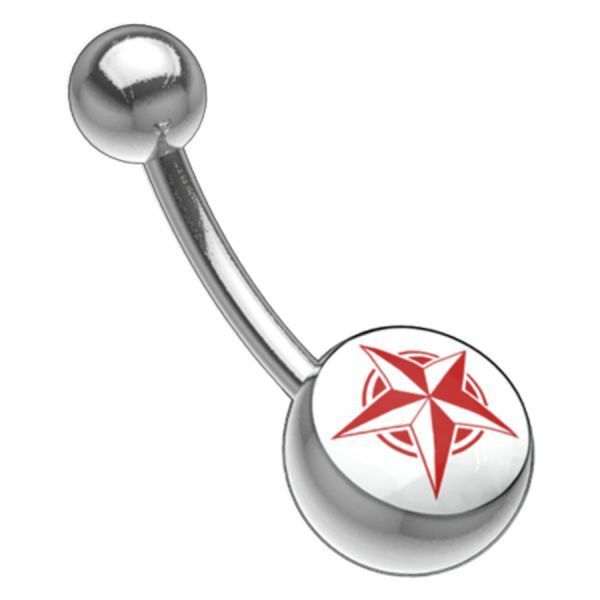 The Titan Highline® Multicut Jewelled Navel Bananabell with 1.6 mm of bar strength is available in lengths of 6.0, 8.0, 10.0 and 12.0 mm, including a larger (8.0 mm) ball with rhinestone, which has a facet cut, and a smaller (5.0 mm) ball without stone. white (CC), aurora boreale (AB), sapphire blue (SB), aquamarine (LB), zircon blue (BZ), dark red (DR), rose (RS), lavender (LA), cobalt blue (CB) and light sapphire (LS). By the way, all of the threads in our jewellery collection are standardised, so that you can combine rings, bars and attachments! The suitable replacement balls without stone can be found in the Titan Highline® among article code TTB, the balls with stone can be found among article code XJS! This article is also available in the Titan Blackline® (KFN).If the body jewellery of your choice is not available in the Titan Blackline® or the Titan Zirconline® in a certain bar length or strength , we are able to put on the designated PVD coat later.